Call for Free Consultation Today: (619) 479-6637 Read more five star service reviews? Need help with your SSL Certificate (httpS://)? Website Security Service versus Malware Removal Service — The same thing, right? How do I prepare my WordPress blog for an SSL Certificate? Blocking the Bad Guys and Bad Bots, Can It Be Done on The Cheap? My web site was hacked – Now what do I do? How do I verify my site with Google Webmaster Tools after clearing my website of malware? How Can I Monitor File Changes Within My Website? I do believe there may be a zero-day exploit “not yet noted by the current WordPress related malware scanning sites or plugins” within the YellowPencil – Visual CSS Style Editor. If you are using this plugin on your site, I do recommend at least peeking in to verify you are running the latest version or remove it if not required. This plugin may be used to inject a redirect into your database. There is a vulnerability on the plugin which is allowing 3rd parties to change the Site URL and Home URL by doing an unauthenticated SQL injection. We in Kinsta contacted them about this too and they are working on an update. 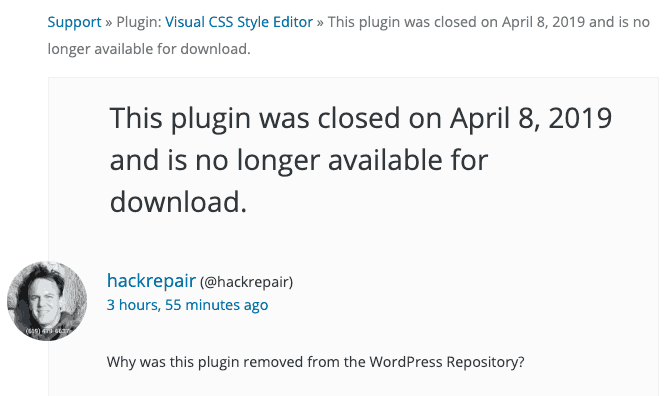 As a precaution, I assume the closed the plugin so no one can download it and get infected until they release a new version. Help with WordPress Wordfence plugin blocking? Buy Jim a cup of coffee?